The Red Bull Soapbox Race is being held in Los Angeles this year on August 20, 2017. It is a fun event that in 2009 had 110,000 spectators. It is something you have to see at least once in your life. Red Bull is not always in California so this is a special opportunity. Part of our crew actually participated in the race back in 2009 dressed as female pirates and the soapbox was a decorated treasure chest. So what are we doing in 2017? We are in it again!!! We are in the race once again. Track our progress here from concept to race day. 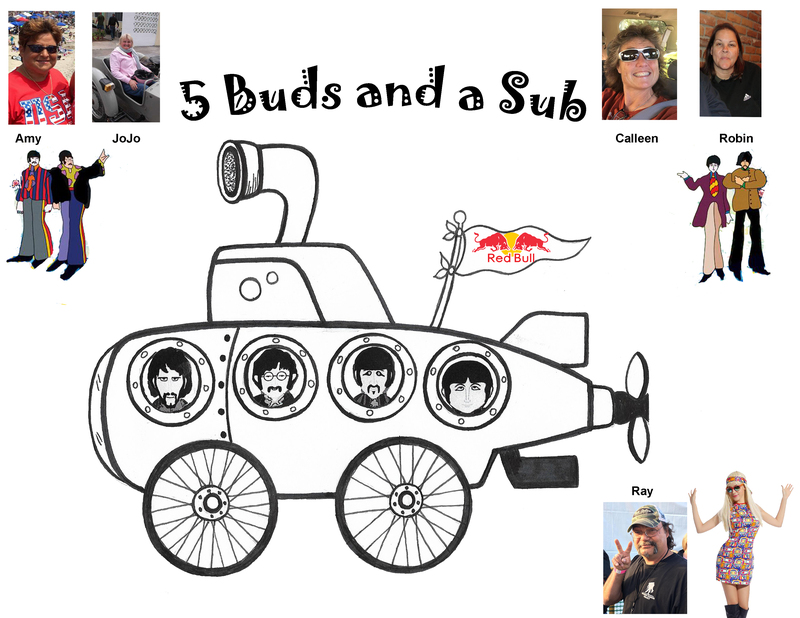 The team name is “5 Buds and a Sub.” Nothing is normal as 4 females will be the Beatles and the male in the group will be dressed as a crazed female fan, beard and all! Good thing he is secure in his masculinity as we are going to dress him up gooooood! The skit hasn’t been determined yet but the soapbox will be a Yellow Submarine. Construction starts soon and we will track the progress for you here. The concept we sent in to Red Bull and we were accepted.